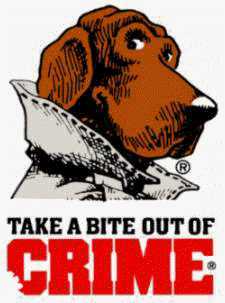 I remember McGruff. I missed him, and I'm glad to hear he's returning. I have fond memories of all of the PSA's from back in the late-70s and into the 80s. McGruff is definitely one of them. My favorite might be with Timer and "I hanker for a hunk o' cheese". They weren't really PSA's, but loved School House Rock as well. I never thought about it before, but I think the quality PSAs as a kid influenced my career in public relations and public affairs, too. Umm, did my last comment not post? Not logged in. Anyway, as I was saying, PSAs from childhood TV influenced my decision to go into public affairs, too. Thanks for pointing it out. Never thought about it before now! Sorry Jennifer, I had to approve and forgot to approve comments yesterday. I have the approval set because of the crazy spam I was getting. Love it. So true. I found PSA messages fascinating growing up. For some reason they stayed with me for many years - the same way commercials have.